My kids and I made these festive fall treats for the first time last year and, like the pumpkin clementines, they were as much fun to make as they were to eat. Requiring just a few ingredients that are easy to have on hand, you can whip these up in a flash in whatever quantity is desired. This is hardly a recipe, although I do have a few pointers. If there is a fun seasonal craft or snack that you enjoy making, feel free to mention in the comment section below! These fun fall treats are easy to make and fun to eat. As an option, peanut butter may be used as your "glue" instead of the melted chips. Although it will not harden and hold firmly like the chips, it will still taste great! In a small bowl, melt the chocolate chips in the microwave. Start with a few tablespoons, adding more depending on how many “acorns” you are making. This will be your glue. Using the tip of a table knife or a popsicle stick, spread a little melted chocolate on the flat side of the vanilla wafer. Stick it to the flat side of the Hershey Kiss and hold for a few seconds. (If the chocolate is very liquidy, it will help to cool it for a few minutes.) Set the acorn on a baking sheet or plate until the chocolate sets. You may place in the refrigerator to speed the process. 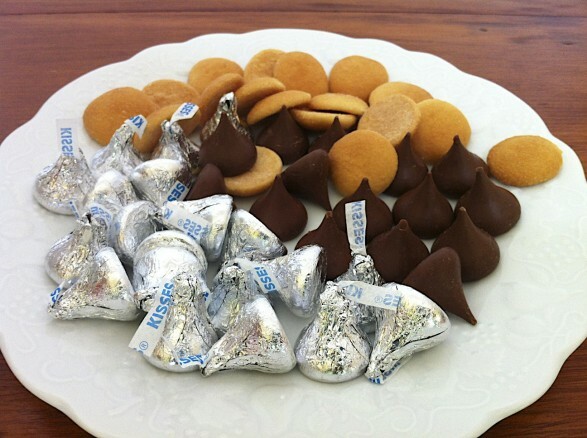 Once the vanilla wafer and Hershey Kiss are glued firmly, warm the melted chocolate if it has hardened. Using a toothpick or popsicle stick, make the stem end of the acorn by “glueing” a chocolate chip to the rounded side of the vanilla wafer. Allow to cool and harden as in the first step. Store acorns in an airtight container. 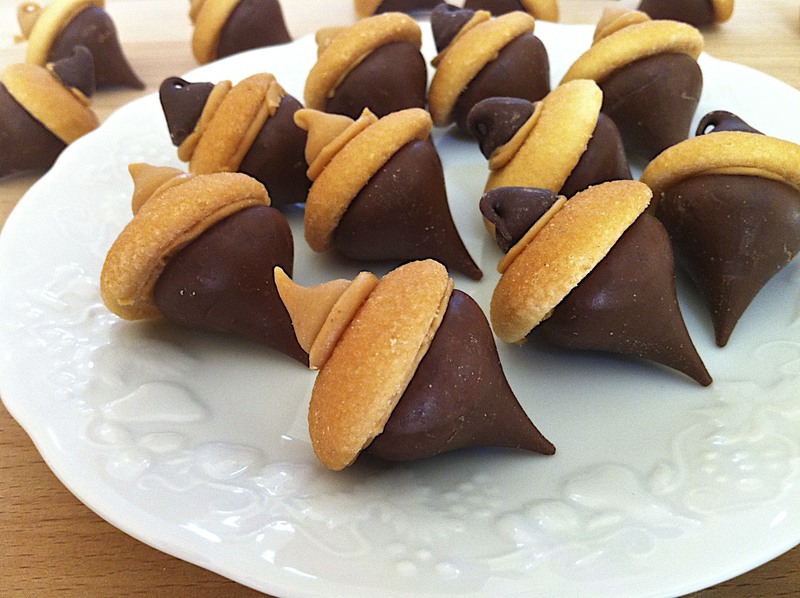 I love the peanut butter option, too…so good with the chocolate!